Weapons that use harmful insects or other living or dead organisms or their toxic products to inflict diseases and pathological changes on human beings and animals. They can also destroy or damage crops. The use, manufacture or stockpiling of bacteriological (biological) weapons is prohibited. DANDO Malcolm, “The Development of International Legal Constraints on Biological Warfare in the 20th Century”, in The Finnish Yearbook of International Law, Vol. 8, 1997, pp. 1-69. 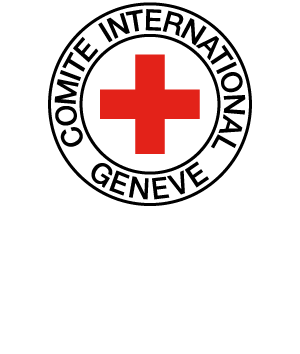 GOLDBLAT Jozef, “The Biological Weapons Convention – An Overview”, in IRRC, No. 318, May-June 1997, pp. 251-265. ROGERS Paul, “Biological Weapons”, in Medicine, Conflict and Survival, Vol. 18/2, 2002, 105 pp. ZILINSKAS Raymond A. (ed. ), Biological Warfare, Boulder, Lynne Rienner Publishers, 2000, 309 pp. CLUNAN Anne L., LAVOY Peter & MARTIN Susan B. (eds), Terrorism, War, or Disease? : Unraveling the Use of Biological Weapons, Stanford, Stanford Security Studies, 2008, 350 pp. and Public Policy, Vol. 24/2, 2001, p. 417-488. LEDERBERG Joshua (ed. ), Biological Weapons: Limiting the Threat, Cambridge, Massachusetts, MIT Press, 1999, 351 pp. ZALUAR Achilles & MONTELEONE-NETO Roque, “The 1972 Biological Weapons Convention – A View from the South”, in IRRC, No. 318, May-June 1997, pp. 295-308.